BC’s Okanagan Valley was a beautiful way to start our journey North from Washington state to Alaska. We visited in late June 2015. The Okanagan Valley in south central BC is the banana belt of western Canada. It is also called Napa North since its home to a zillion wineries. 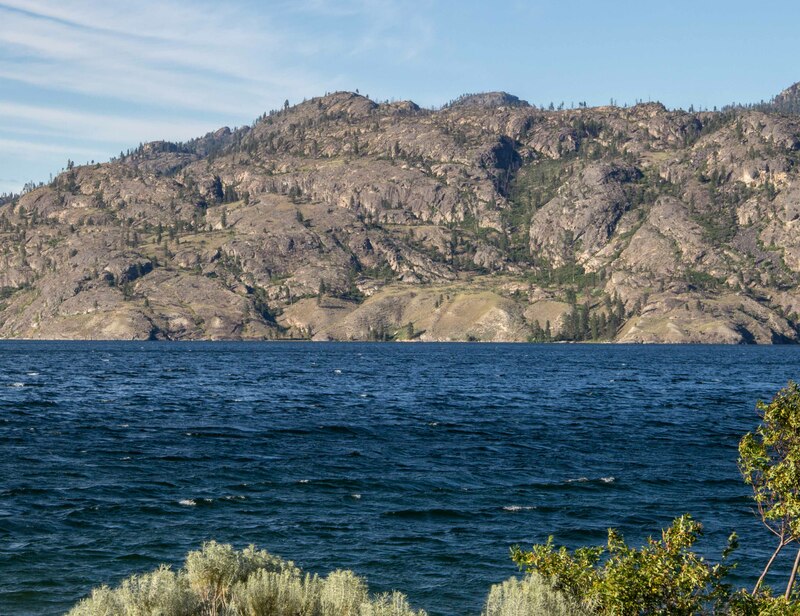 The Okanagan starts at the US border and runs North along Okanagan Lake. The lake is a beautiful deep blue with rocky mountains running down to the water. Besides vineyards, the area has tremendous fruit production featuring cherries, apples, blueberries and apricots. 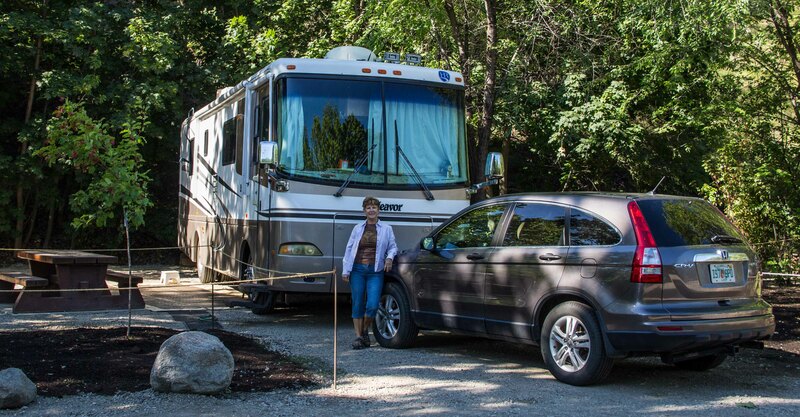 We stayed in the lovely south campground at Okanagan Lake Provincial Park. It is right on the lake and central to a lot of things to do. The nearest town is Summerland. Everyone we met was friendly and helpful. It was just a nice place to be. 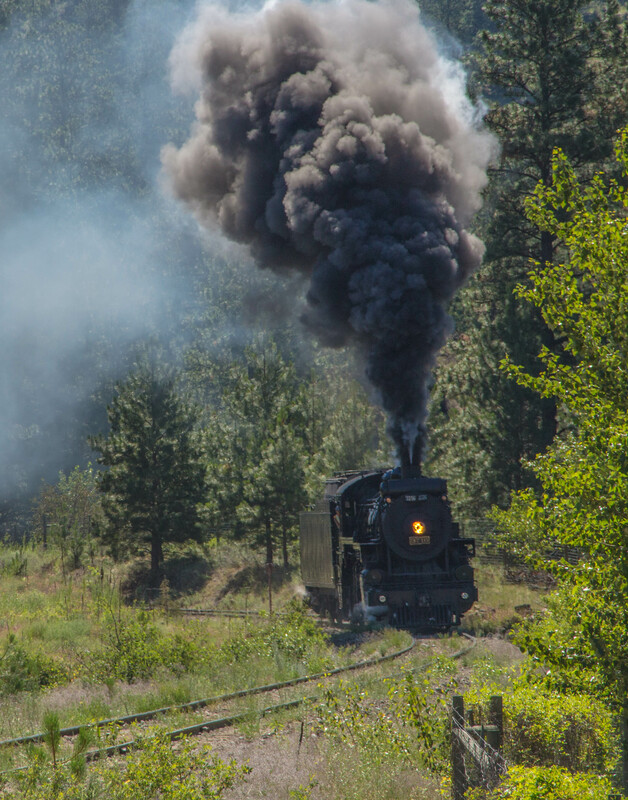 The Kettle Valley Steam Railway runs a famous 2-8-0 Consolidation locomotive number 3716, formerly named Port Coquitlam. We took the 90 minute ride and found the staff friendly and informative. The locomotive is gorgeous and provided a full smoke runby prior to the trip. 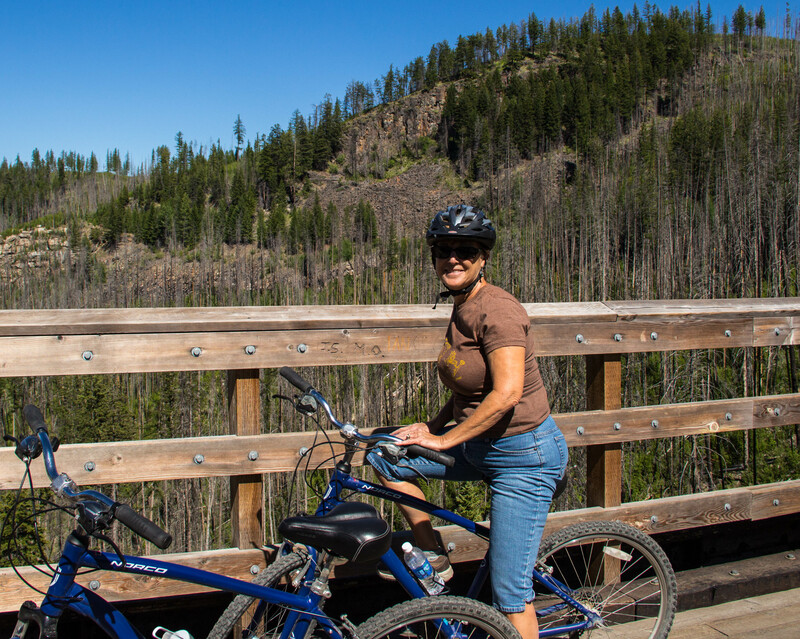 Another feature in the valley is the Myra Trestles Trail. Its a “rails to trails” park that can be walked or biked. 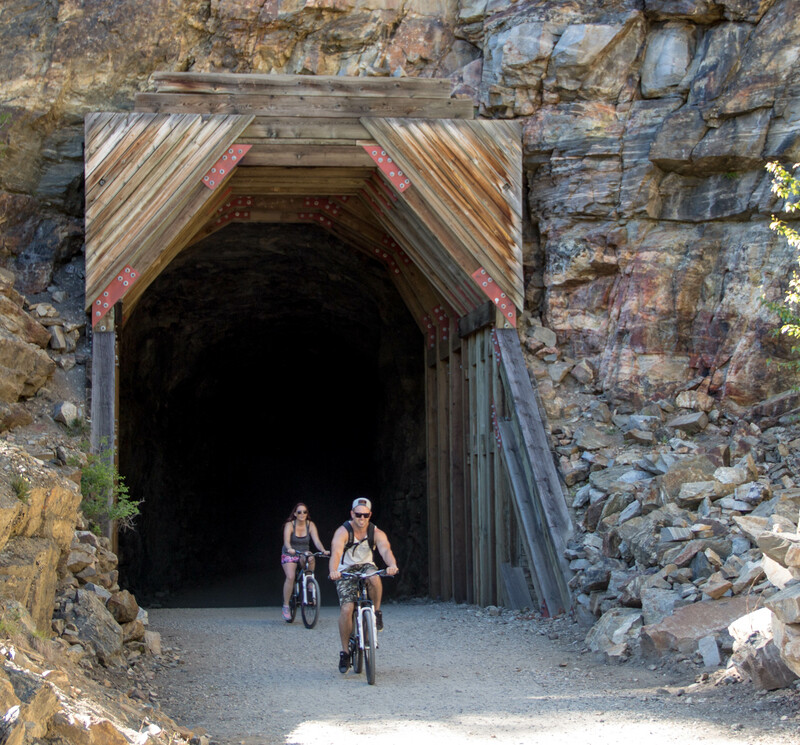 The trail is 12 km long with 18 trestles and 2 tunnels. It is an absolute blast to ride. 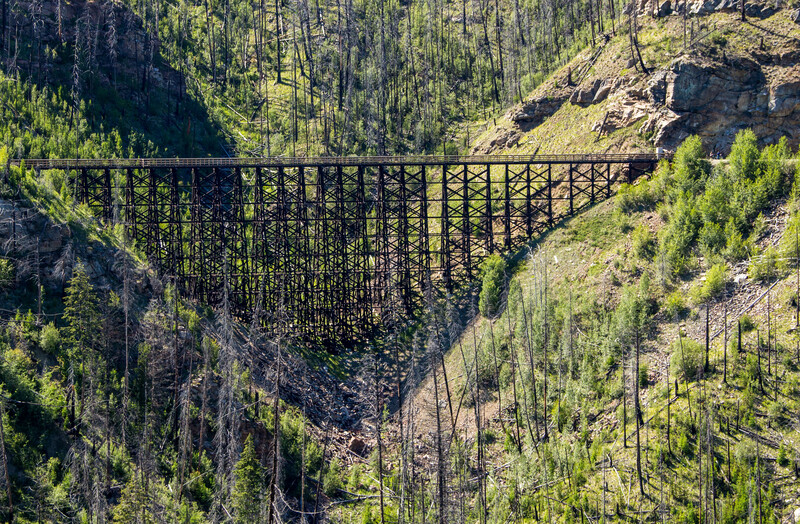 A forest fire in 2003 burned most of the trestles but intrepid volunteers rebuilt them all. 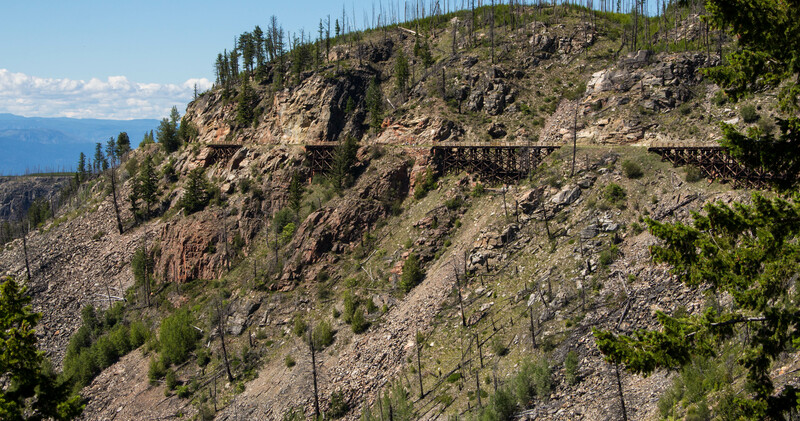 This rail route was another part of the Kettle Valley Railway that has been saved in another way. 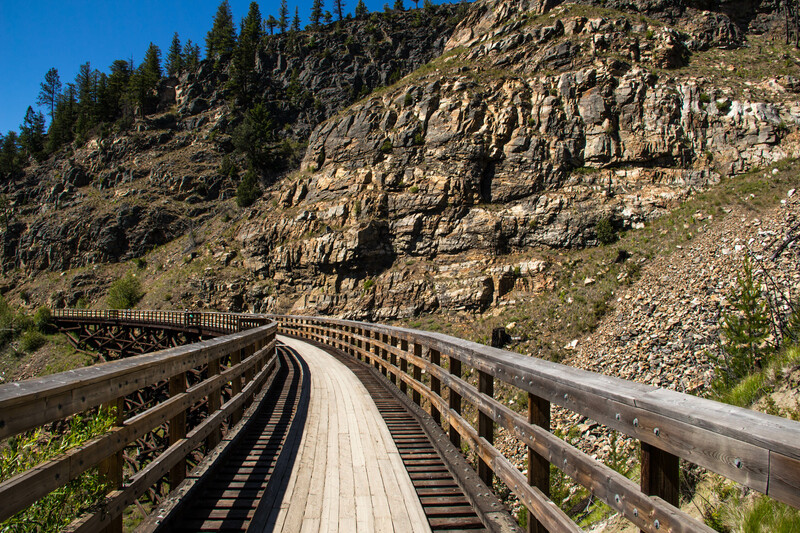 This has to be one of the finest rails to trails projects in North America. This entry was posted in British Columbia, Canada, RV Travel, State Parks, trains. Bookmark the permalink. 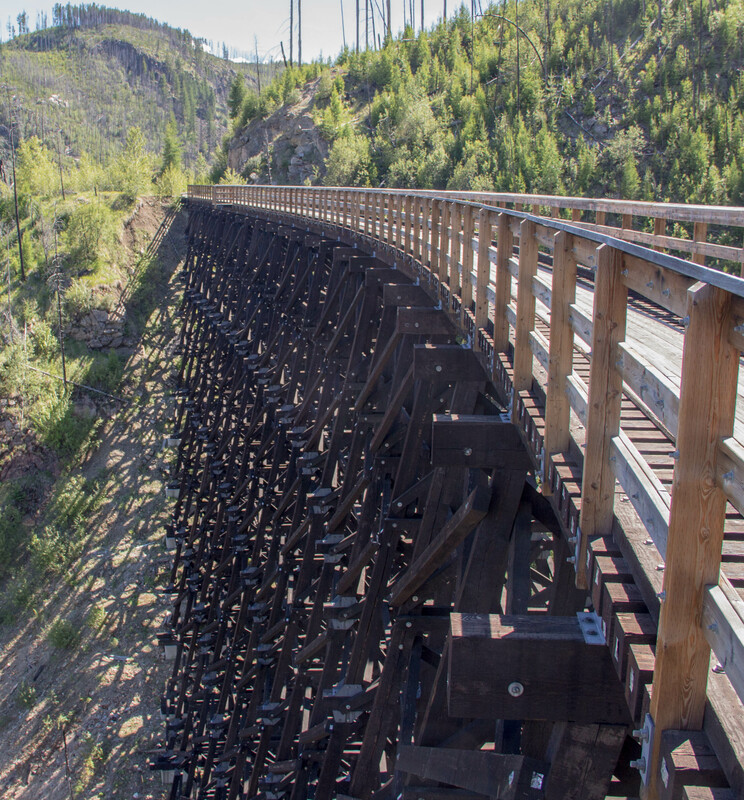 Quite the bike trail and those trestles are impressive. RVing looks like the best way to see this part of the country. We leave for Europe tomorrow . Have a great trip. We know you will. Be safe. Beautiful countryside and a very interesting railroad – looks like a fun experience. Hope your trip back is going smoothly. Way cool, or as they say in that commercial, “Awesome sauce!” Fantastic scenery you have! Andrew and I are in England, as we speak, visiting Brit friends (did Beatles house tours in Liverpool, a ferry crossing the Mersey, Scarborough and Whitby, pubs, next to Princess Diana’s gravesite, will post pics on FB when I find time. Still so sorry about you having to deal with pain and dr appts! This too shall pass!